Meme borrowd from Jill at Breaking the Spine. Just so you know, I've been waiting for this one for a long time. My fingers are itching to grab it and place it alongside the others on my shelf...so this will be a Waiting on Wednesday with a difference. 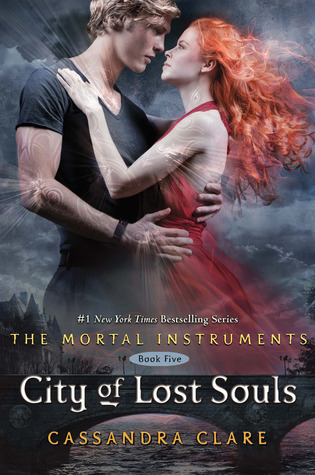 In City of Lost Souls, the Shadowhunters struggle to piece together their shattered world after a betrayal by one of their own leaves them reeling. However, if you look over there you can see the placeholder cover that was there for a while, so you have some extra tidbits that you wouldn't usually get instead :) Aaand, over here on the right, the ACTUAL cover! So we know there's a traitor. But now it's the turn of the classic whodunnit to take over this spellbinding, bestselling paranormal/actin/romance series. Will Jace be the one to betray the Shadowhunters, as the bond that links him to Jonathan/Sebastian steers him toward darkness? He reached her and held his hands out; she took them, and let him pull her to her feet. His pale gold eyes searched her face. “I want you with me,” he said. “But I want it to be your choice. Once we go, there’s no coming back." Or it could just as well be Alec. Everyone knows he'd slowly fallen in lvoe with the warlock Magnus Bane. And whenthe question of Alec's mortality is brought up, a spell contained within the Book of White mentioned, one that could potentially freeze Alec's aging and make him immortal, could the use of the forbidden spell condemn Alec to traitorhood? Could another method be explored, such as vampirism? However, Isabelle is the most volatile of the group. She wears her heart on her sleeve. Could a relationship with a Downworlder - something she's known to indulge in - wind up costing her her place as a Shadowhunter? In order to save Jace from Jonathan/Sebastian's eeeeeeevil power, could Clary take on the help of the Downworlders or dark powers? Could her love for Jace steer her off course, and alienate her from her friends? 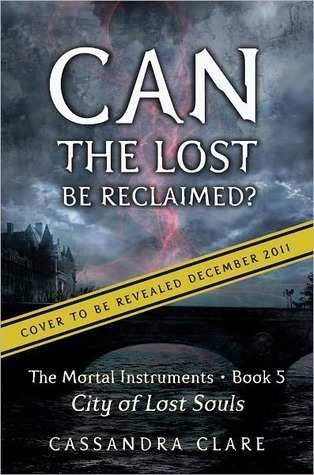 Though not a Shadowhunter, Simon has a profound loyalty to his friends. Could a proposition from Camille end with him turning his back on his friends and joining the Night Children once and for all? Seeing that her son, Jonathan, is still alive, could Jocelyn break away from the Clave to save him from the evil forces that threaten to take over them all? Though they're minor characters, Robert and Maryse did lose their beloved son, Max, during the attack on Idris. Could bereavement and anger at the Clave for allowing such a thing to happen drive Robert or Maryse to do the unthinkable?